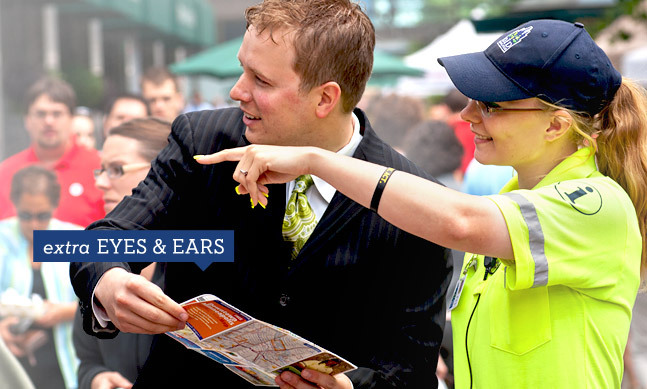 As you explore our amazing city be sure to look for DID Ambassadors. 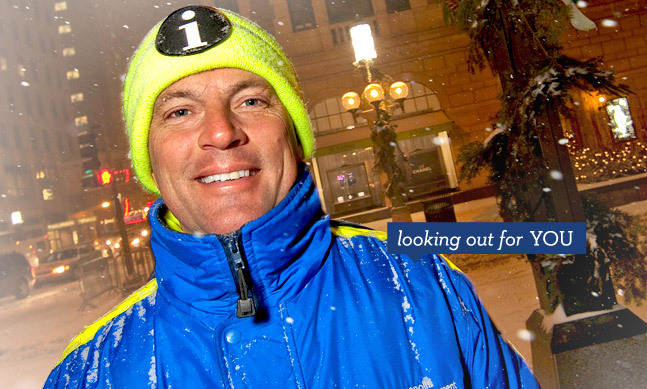 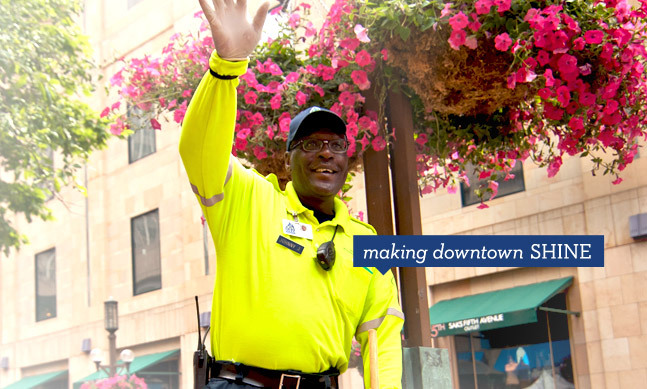 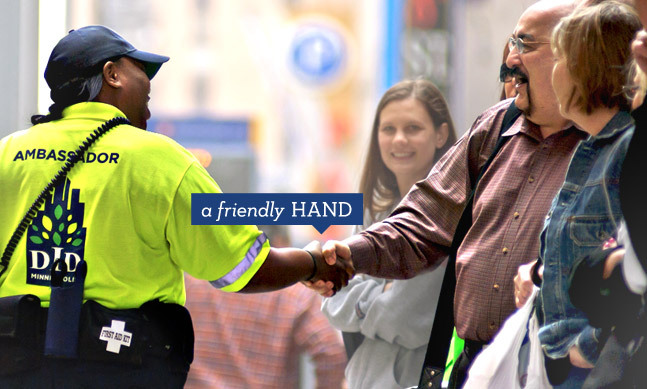 Patrolling 120 blocks of downtown year-round, DID Ambassadors serve as the Minneapolis's friendly concierge. 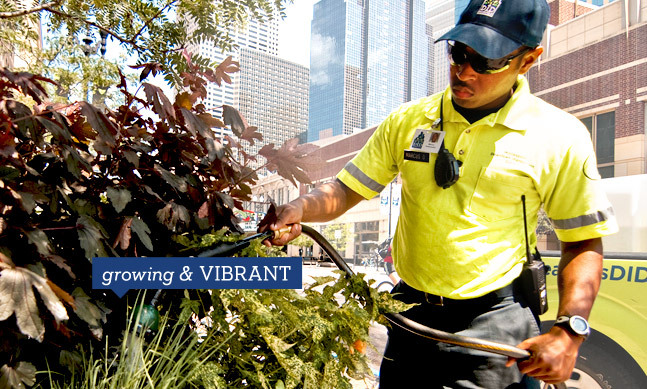 Just look for the tennis ball green shirts (summer) or blue jackets (winter) as you travel through downtown Minneapolis.